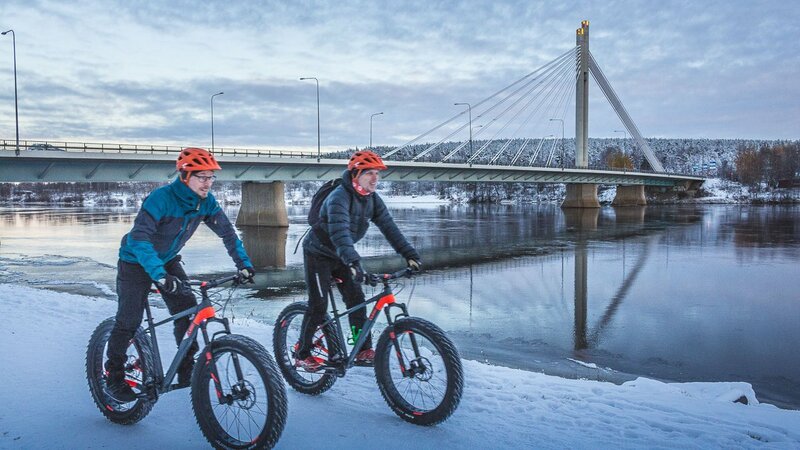 Ride on frozen river, see the city of Rovaniemi and the beautiful river banks of it. 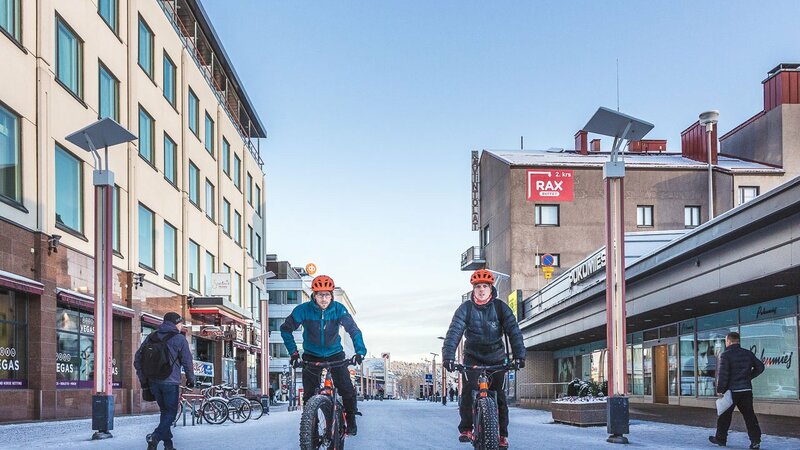 Experience the city of Rovaniemi by bike. 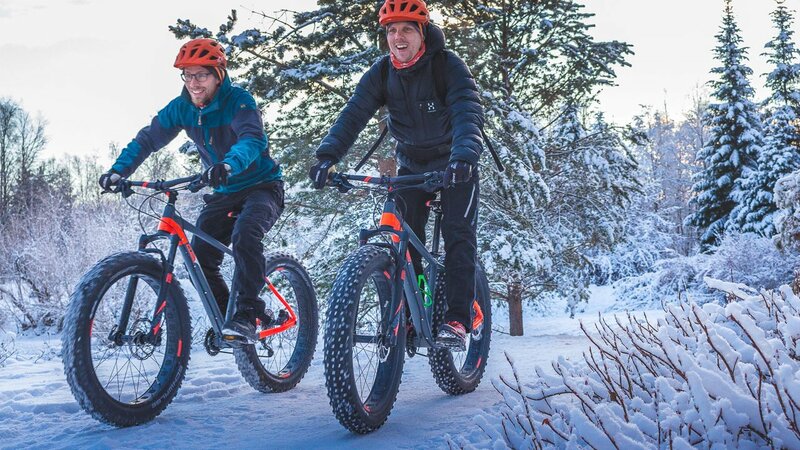 This is our easiest trip for anybody who can ride a bike. Only smooth roads and easy forest paths. We take you through the city centre to some beautiful areas of river side. 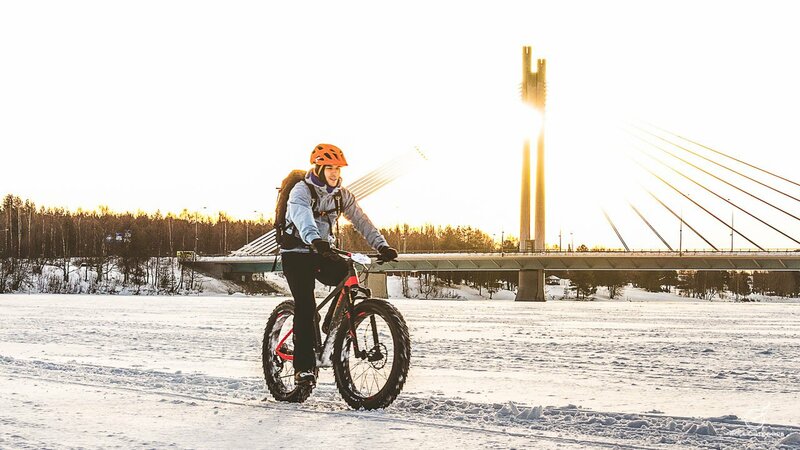 We also ride on the river ice when it’s possible and safe. This tour is also suitable for children from 7 yrs and up! 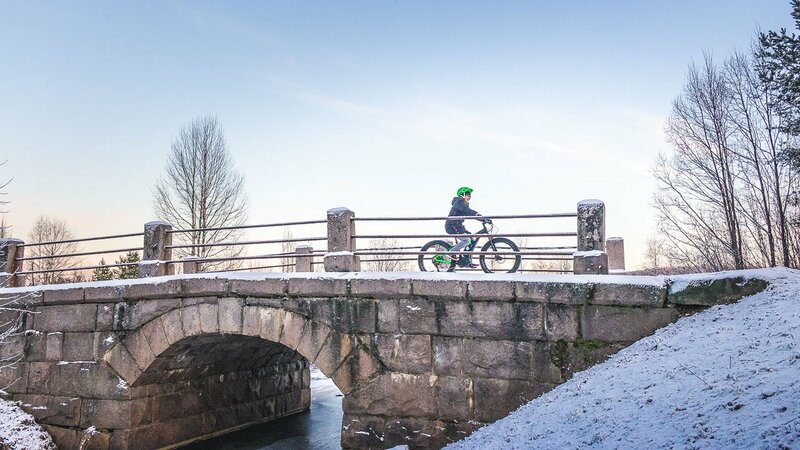 Our professional biking guide can show you not only the wonder of winter, but some sweet singletracks a stone's throw away from the city centre. 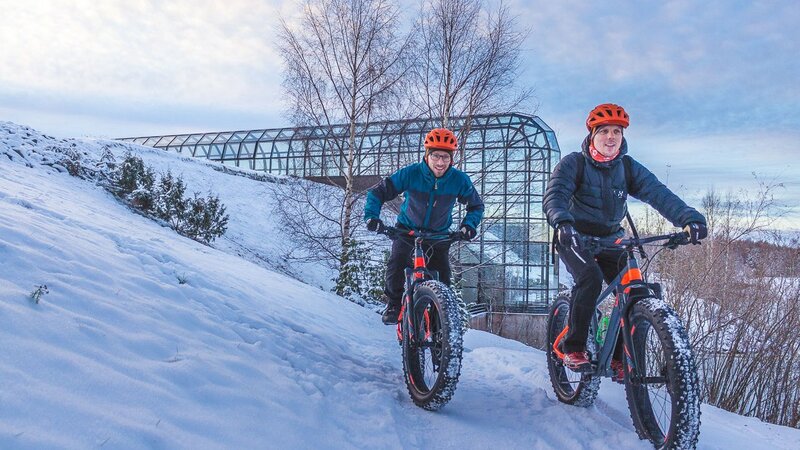 To make riding easier and even more fun; book the tour with electric fatbike. It helps you to keep your heartbeat low. 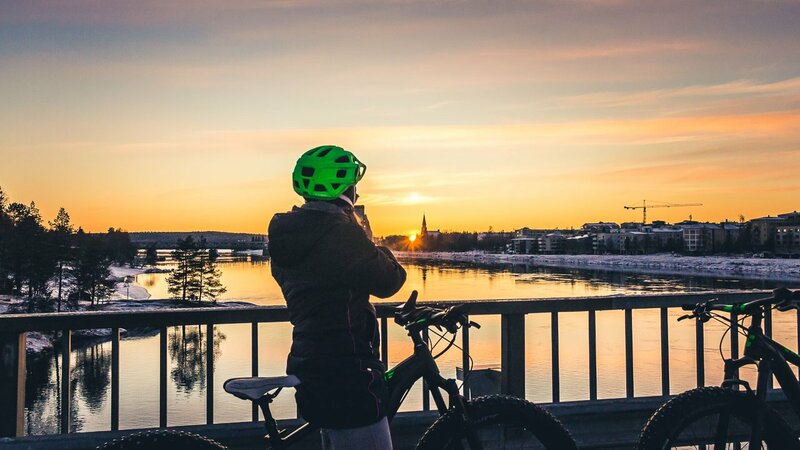 On this tour you will also see the beautiful riverside and some of the architectural pearls of Rovaniemi. We ride by Marttiini and Arktikum, over the Lumberjack Bridge and at the end of the tour we will pass by the library designed by Alvar Aalto himself. 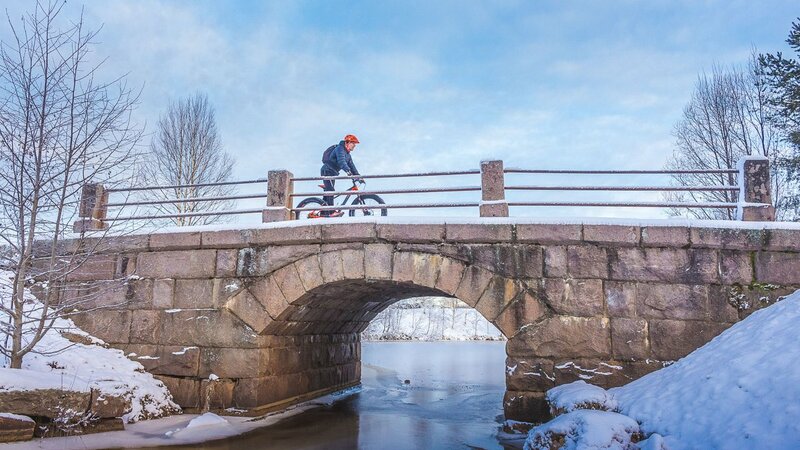 When conditions are safe, we can ride some parts on the ice on the frozen river of Kemijoki. Group size: Max. 8 persons. Ages: from 7 years and up. - Mountain biking winter gloves. - Shoe covers to put over your own shoes.